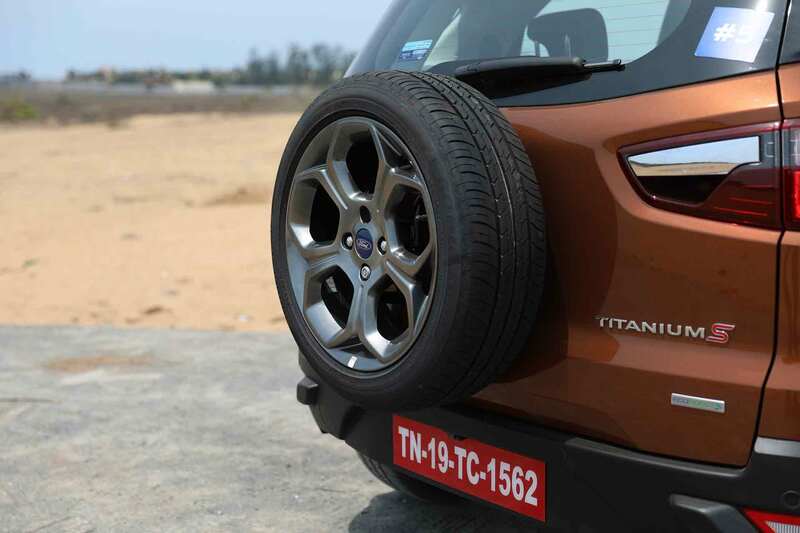 A new EcoSport? Not quite, but it’s worth your time, nonetheless. Why? Because it’s just a bit more than the run-of-the-mill facelift or update that we’re seemingly inundated with, and that’s primarily because of one word — EcoBoost. 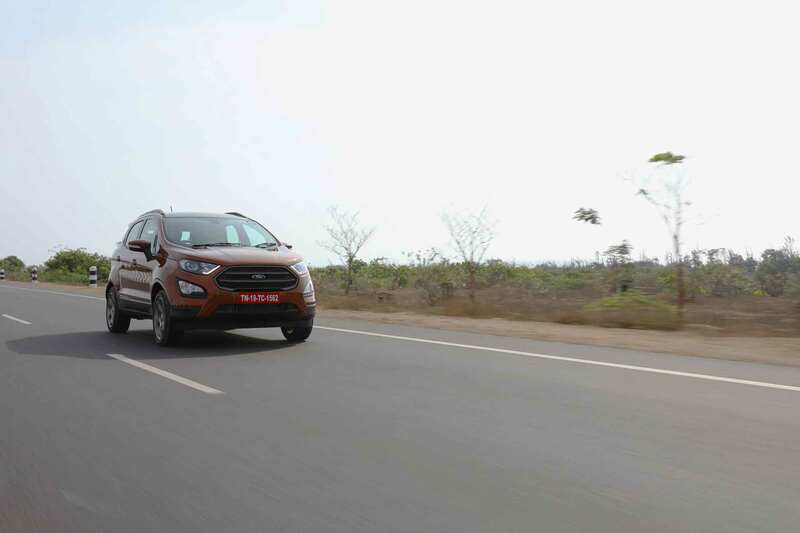 Where this story gets interesting is when Ford decided to bring the 1.0-litre three-cylinder EcoBoost back into the running with the facelifted EcoSport. There were, indeed, a fair few questions directed at a bamboozled lot of Ford technicians when the facelifted EcoSport debuted only with a diesel option. That’s now been rectified. I’ll throw some numbers your way first: the 1.0-litre three-cylinder engine petrol makes 123 bhp and 17.3 kgm, which is identical to what the one we used to have. Ford says that nothing’s been tuned, no fettling’s been done, and it is very much the same engine that we’re used to. This time, however, there’s a new six-speed manual transmission. The diesel sticks to the five-speed manual. 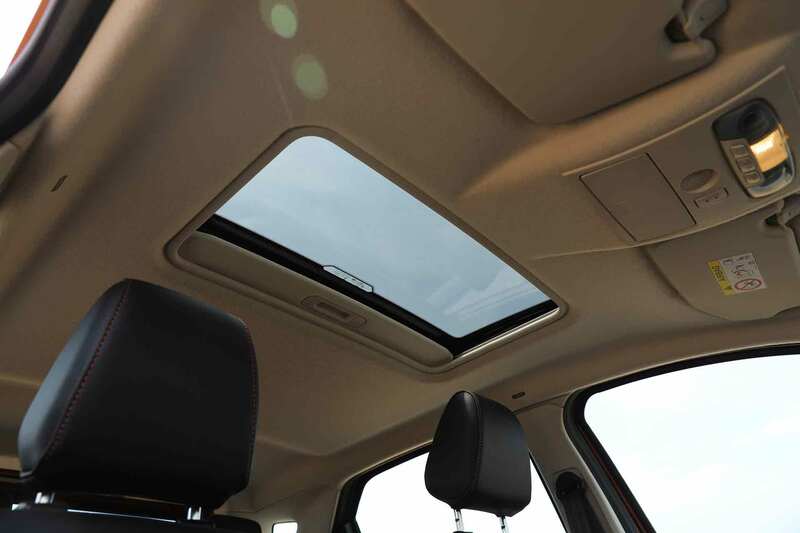 The only way you can spec your EcoSport with an automatic ‘box is if you get it with Ford’s 1.5–litre petrol engine. But I digress. The point of this story is to figure how the EcoBoost gets on with the new six-speed manual ‘box, and in short, I’m bloody impressed. If I were to indulge in a bit of technicality (or, when things get boring to read), the EcoBoost engine can manage to pull from 40 kph in sixth gear (the rev counter is lazily ticking over 1000 rpm at this point) without knocking or stalling. You have a short wait till 1800-1900 rpm when the turbo kicks in, and after that progress is much more rapid. How is this possible? This is extremely good news for those who complained about the EcoBoost’s driveability last time around. While it was relatively peppy once the turbo kicked in, it used to struggle before that in the rev range. That doesn’t seem to be the case anymore. 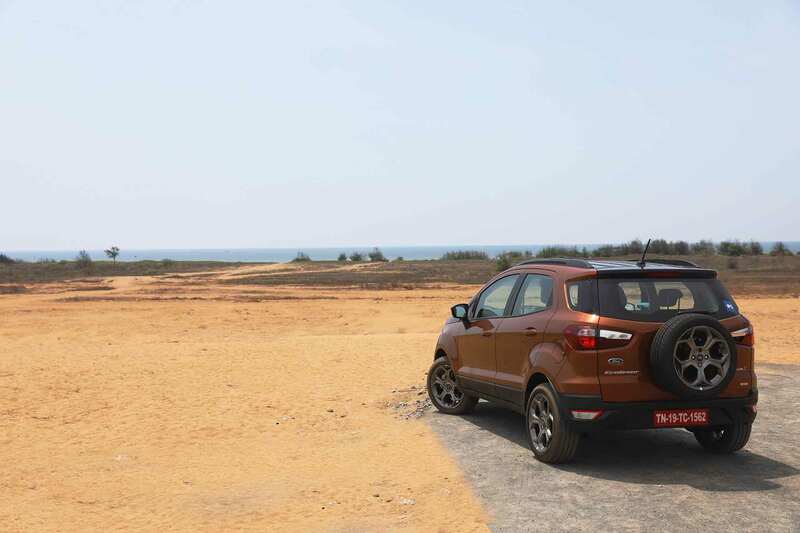 Gear after gear, and helped especially so by the turbo that kicks in pretty early, the EcoBoost enables the EcoSport to be a quick car off the blocks. It really is a fun car to drive around in, and the best way you won’t notice this is when the EcoSport tells you you’re at 120 kph with you barely having noticed it. I like cars like this one. Even the steering’s decently weighted at higher speeds, although it feels a bit vague when you swerve angrily and abruptly to avoid a maniac kid crossing the road (highly personal example, I know). Oddly enough, it feels like the rear of the car takes a second too long to respond to what the front wheels are telling it to do. Keep speeds sane, though, and all falls into place and control. As for the ride, well, it’s surprisingly good for a car that’s riding on 17s and has a profile of 50. Crashes and bumps were dealt pretty easily, so that’s commendable. What the S signifies is a bunch of features you get over and above the Signature trim, which includes a different pattern for the alloys, smoked headlamps with HIDs, more black accents on the grille, a sunroof, and, like I mentioned, the EcoBoost engine itself. Oddly enough, though, the Signature trim gets a screen size that’s slightly larger (by an inch) over the S’s 8-inch touchscreen, while the S also gets TPMS. All in, I think it’s worth taking a look at the S if you’re in the market for a fully-loaded compact SUV (are there such customers? 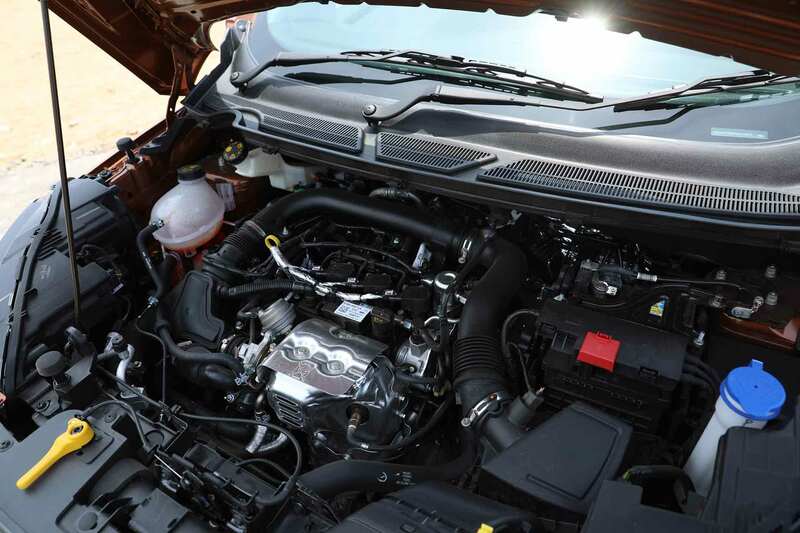 ), and the EcoBoost engine will certainly make things a delight for you in the long run. Now, down to more serious stuff. 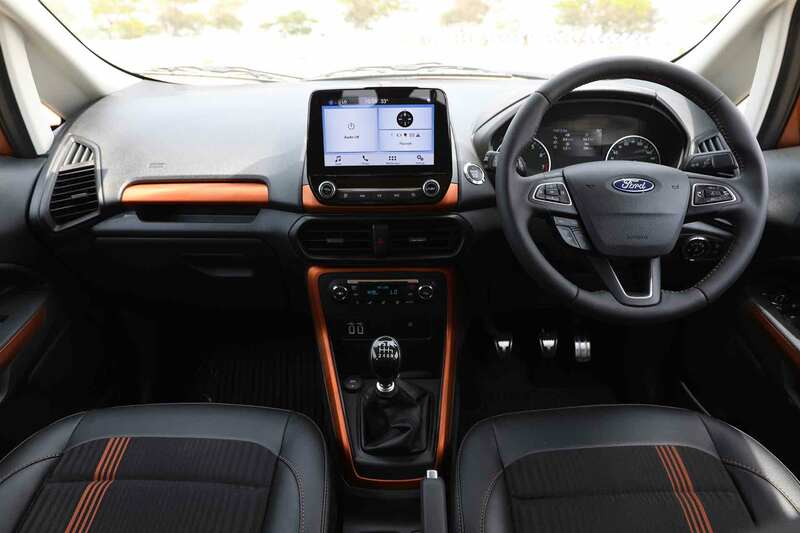 Since you’ve brought in the EcoBoost for the EcoSport, could you do the same for another, bigger car of yours? I know it’s no V8, but that’s not stopping me from itching to have a go. What say, Ford?